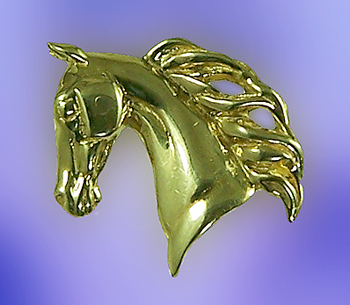 A true Saddlebred treasure offered in 14kt yellow gold! The Gorgeous Horse your number one source for Saddlebred horse jewelry. Check out this new Saddlebred head. Makes for a great gift for the Saddlbred admirer. Fantastic two dimensional features bring this design to life. This piece is also available in 14kt white gold, 14kt yellow gold, or sterling silver.